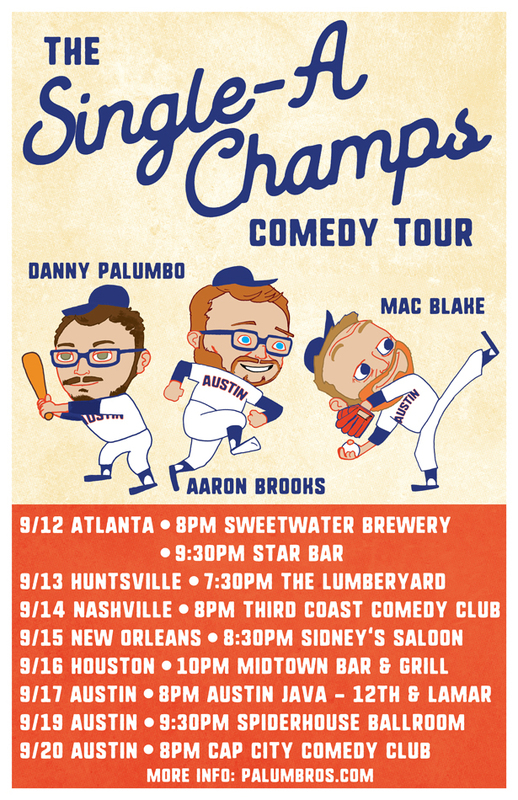 I’m going on a brief Southern run (and then back to Texas) with my comedy pals Aaron Brooks and Danny Palumbo. we’re calling it the Single-A Champs Comedy Tour. We have a lot of very fun shows lined-up and with some very cool people (including Ryan Singer!). If you have friend in these cities, invite’em to a show! Dates, venues, and more are located on the shows page.